Unleash your inner artist when your drawn on an array of lines both thick and thin using the Revolution Pro Supreme Dip Eyeliner, a richly pigmented liquid formula which dries down to a long-wearing matte finish that doesn't flake, crack or crumble.Vegan. Paraben and cruelty free. Explore the entire range of Eyeliner available on Nykaa. 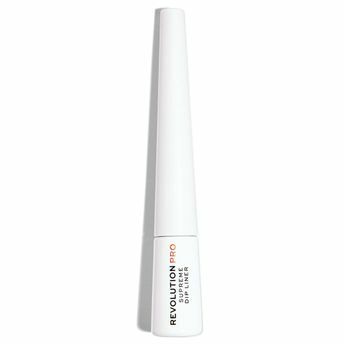 Shop more Revolution Pro products here.You can browse through the complete world of Revolution Pro Eyeliner .Alternatively, you can also find many more products from the Revolution Pro Supreme Pigment Dip Eyeliner range.